What is the most outrageous pair of eyewear you ever wore? 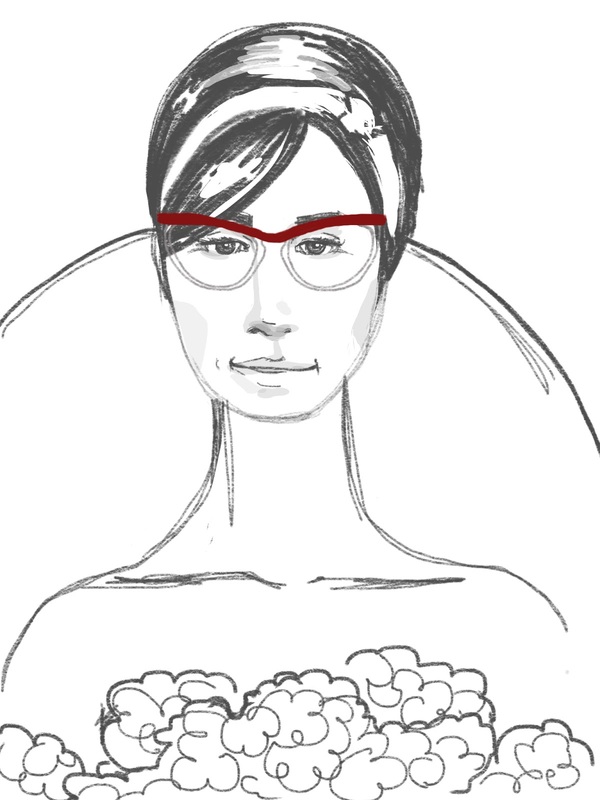 The most outrageous pair of glasses I ever wore was actually on my wedding day – OG make some pretty out there frames, but the frames I wore on my wedding were outrageous in their story. They are called the Rimini and have hand cut crystals positioned all around the edge of the frame, they are beautiful!! My uncle told me that they were made by a one armed nun in the mountains of Italy!! I have only two vintage pairs and I’d protect them with my life! My favourite CG frame is actually a frame we have just launched called WYNNE – it is a beautiful oversized women’s frame with a heavy brow bar and delicate scoop to the rest of the frame [These are the ones I used in my illustration above]. It is very contemporary, very CG and very cool! Who would wear it? 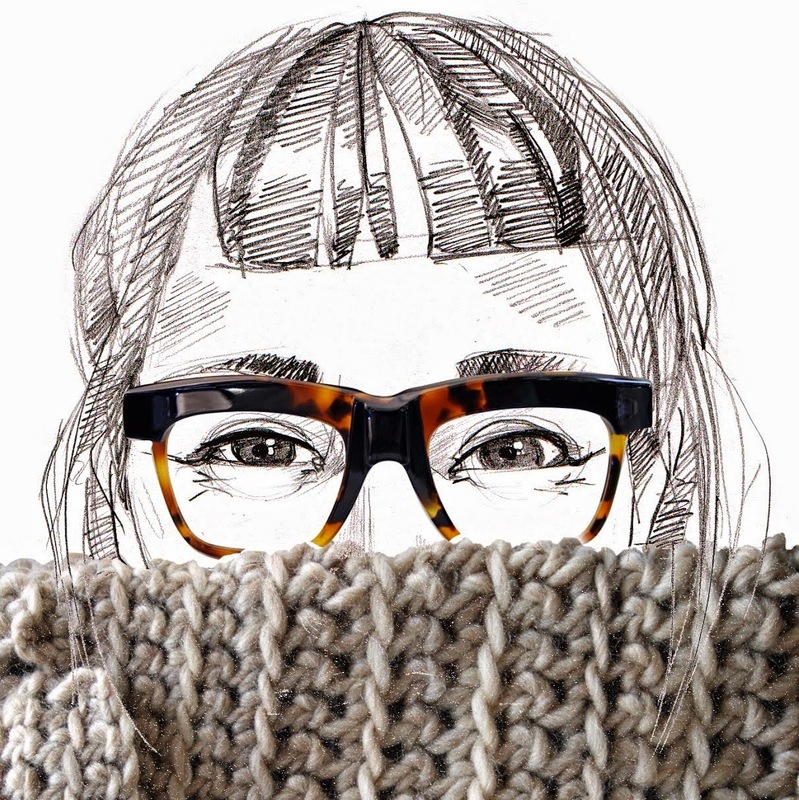 I see a person confident in their style, excited by eyewear and passionate about what they do. Do you have someone in mind when designing your collections, or does that come afterwards? It comes afterwards – I’m afraid to say that I design for me. I deisgn what I like. 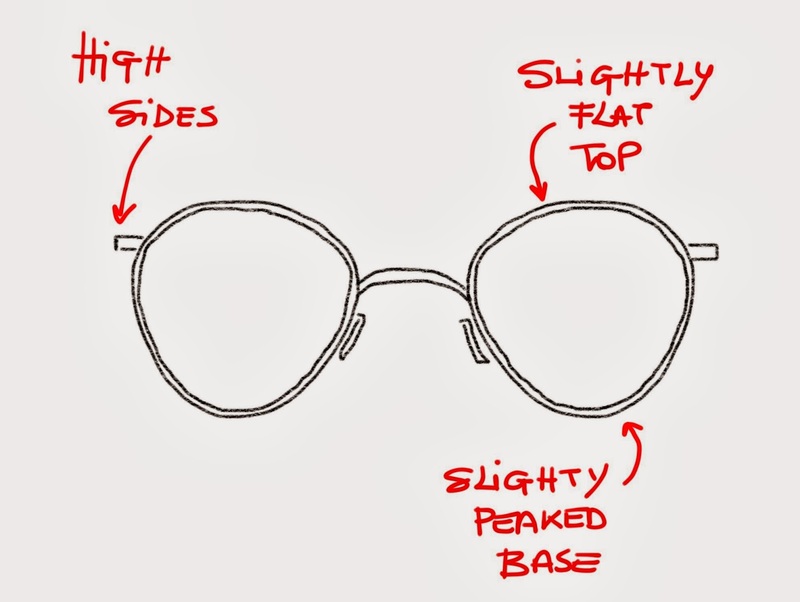 I think if you start designing frames ‘for’ people you can lose sight of the brands vision and style. Once they are made and the colour options are there I suddenly start thinking of all the people I know who would suit them! Who are or were the biggest influencers in eyewear? Obviously huge companies like Luxottica have changed this market hugely with their licencing model taking huge fashion brands and making them accessible to the masses on eyewear carrying those names. 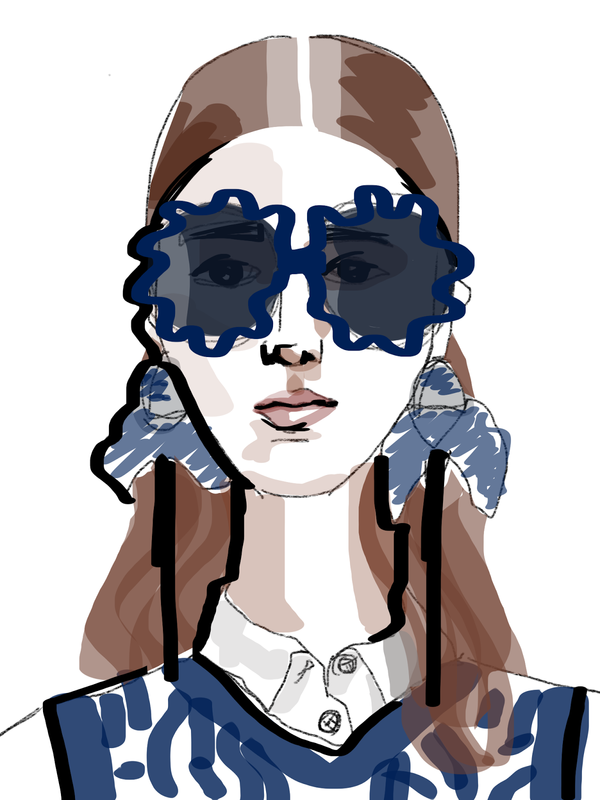 Their distribution power has made fashion glasses attainable for all due to the sheer size of their business and their power. 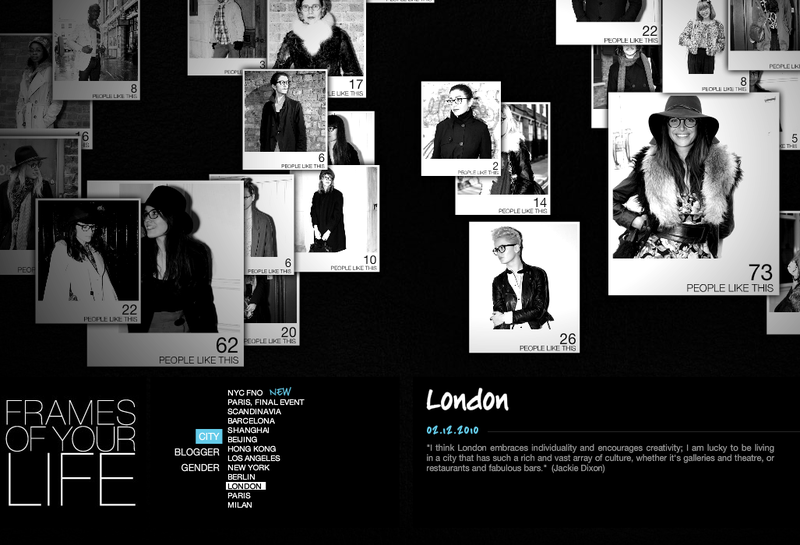 But on an independent level brands like Oliver Goldsmith have helped shape the industry. My grandfather was an amazing designer but equally a brilliant marketer. He was one of the first people to put celebrity’s in eyewear, to use their popularity and power in society to build his brand. He had a special personality as well that he brought to his brand, and I try to do the same with my own brand today. I am also influenced by many obvious things; friends, my team, my customers and life – especially a British one! What else would you have done if not eyewear? I would love to have been a corporate trouble shooter – essentially going into businesses identifying problems, helping to fix them and then moving on to the next project. I love small and interesting businesses, with passionate people behind them. I might one day still get to do this, but I need to build my own business successfully first, giving me the experience and knowledge to advise others. If money wasn't an option which piece of art would you like to see in your home? Most visually inspiring place you’ve been? I always question how things are made, and in Rome I have never asked so many questions about engineering! Visually it was truly captivating. A trip to Thailand with my family and friends – it is the most indulgent holiday I have ever had, we had incredibly Thai meals prepared for us everyday, beautiful cocktails, my children swam all day, I had a massage everyday! So much that I actually think I ‘over-massaged!’ if there is such a thing! I was as tender as Wagu Beef by the end! What do you do if you want to find some head space and collect your thoughts and ideas? Finding free time when working full time, bringing up two kids and travelling is extremely hard. All my free time is spent with my children – but when I really need a break and a moment to myself, I sit in the bath! I have my best ideas in the bath! It really is the only thing that clears my mind and fully relaxes me. Last question, do you listen to music when you work? Yes! Music is an important part of office life – when everyone has their heads down, I don’t just want to hear the tap of peoples fingers typing, music creates an atmosphere and a mood. The other day I insisted on 80’s Power Ballad Day – however I was punching the air alone [Go Claire!!]. Let’s just say it wasn’t everyone’s cup of tea! We have a Spotify account so everyone gets their turn in playing DJ.